You love your Pulse Secure MAG appliance because it’s rock solid. But are you ready for the latest security challenges that come with connecting your users to cloud-hosted applications or SaaS offerings? Thousands of your peers have already stepped up to the Pulse Secure Appliance because it delivers the same reliability and performance you trust with advanced software capabilities that provide an enhanced user experience, stronger security posture, and optimizations for hybrid IT. It’s a timely move -- a recent study discovered that 54% of companies in 2017 were affected by ransomware attacks, costing them as much as $133,000 per attack. That’s why we’re providing a special offer to help you make the move. We’ll give you a free PSA of your choice if you make a qualifying purchase this year. It’s a great deal to step up your access with new features that scan devices before they connect to the data center or cloud. These are just a few why reasons many of your peers have already deployed the PSA. Get your free PSA and step up your access for hybrid IT applications in the cloud and data center. Thousands of Pulse administrators are using the new Pulse Secure Appliance (PSA) to solve the latest access challenges for the data center, cloud and mobile. The new PSA delivers the same reliability and best-of-breed security that you know and love from your SA or IC appliance, but with greater operational scale, deployment flexibility and use case support. How much visibility do you have via Secure Access end-points – from the Data Center, to the Cloud, to Devices and Applications hitting your network? Join Pulse Secure for a compelling Webinar Centered on Pulse One – its’ leading edge Monitoring-Visibility Solution. Configured correctly, Pulse One also enhances compliance alliance, segmentation and pro-active management and consolidation for Secure Access at the front-edge of your network. Learn how Pulse Secure’s latest Secure Access solutions are protecting the latest information architecture transformation and investment. Our latest Secure Access software release includes stronger portfolio integration, expanded ecosystem interoperability, and revamped admin UX. Along with these highlights, we will show you the tech in action with live demos of Pulse Cloud Secure and Profiler. We are excited about securing your digital footprint with this exciting release. Don't miss out! Learn how the latest features will enable your growing Secure Access needs with an integrated solution that meets traditional software suite practices, enhanced usability with deployment ease, and compatibility with evolving enduser and network evolution needs. Welcome to Pulse Secure’s webinar series on The Six W’s of Pulse Secure! We will take you through the journey on the perfect formula for staying contemporary in the vast evolving world of Secure Access. The final webinar in our series will show you how to get up to speed on a new robust security perimeter with policy at its core, compliance for the cloud, and frictionless experience for workers. Welcome to Pulse Secure’s webinar series on The Six W’s of Pulse Secure! We will take you through the journey on the perfect formula for staying contemporary in the vast evolving world of Hybrid IT. The fifth webinar in our series will lead you through Pulse Workspace, our app-agnostic container solution, allowing employees to enjoy the true native user experience of their preferred mobile device for both work and life. The forth webinar in our series will guide you through all the variables and complexities that are associated with Network Access Control, and why Policy Secure is your comprehensive and easy solution for BYOD onboarding, granular security, easy deployment, and open integration. The third webinar in our series will take you in a deep dive into a demo of Pulse One, displaying the benefits of mobility and group management, central administration, and compliance reporting – where you have complete visibility on your existing Secure Access infrastructure - all in one place! The second webinar in our series will guide you through what makes Pulse Connect Secure the industry-leading SSL VPN solution as the demand for security continues to increase, and the reasons why that should matter to you. 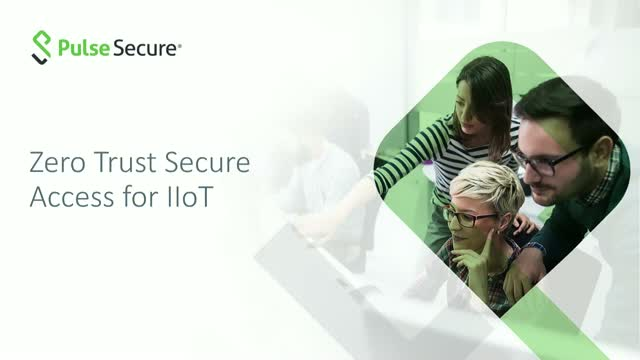 In combination with our new Pulse Secure Appliance (PSA), Pulse Connect Secure meets your organization’s secure access needs by providing fast, secure, and optimized access to a rich set of applications and services. Join us to learn more about why Pulse Connect Secure is the solution for your secure access needs. The first webinar in our series will provide an overview of who Pulse Secure is, taking you on a trip down memory lane through the past, providing updates on the present, and provide a glimpse on what the future holds. Don't forget to join us with the rest of the webinars in the series! Learn how the latest features of Pulse Connect Secure 8.2r5 / Pulse Policy Secure 5.3r5 are enabling IT with security solutions that offer increased visibility and control for IT’s evolving landscape, while fulfilling the end-users' increasing needs for access on the go. Are you looking for an easy way to support BYOD? Do you need to provide users with access to Office 365, Box, Salesforce or some other cloud service? If so, you’ll be interested in our latest VPN software. It’s an all-in-one solution for mobile, cloud and VPN that gives users single sign-on to the cloud and data center but only from managed devices and without hairpinning traffic. Join us to dive deep into the solution! Boost worker productivity with support for the latest end-user services. Pulse Connect Secure can now securely connect users to Office 365, Box, Salesforce and other cloud services from their mobile devices. It’s an all-in-one solution for mobile, cloud and VPN that gives users seamless and secure access to both the cloud and data center. It’s an easy way to create new possibilities with the cloud and mobile using something that’s already in place. Join us to learn how! With the constant advancement and evolvement of the IT landscape, we all want to be in the know. Join us on Thursday, May 19, 8:00 - 9:00am PST / 4:00 - 5:00pm GMT in the announcement of the latest updates on the Pulse Connect Secure 8.2r3 and Pulse Policy Secure 5.3r3 releases. Join us on Wednesday, May 4 at 8am PST to dive deep into enabling enterprises to balance business security with user productivity using BYOD. It’s 10:00PM. Do you know who (or what) is on your network? Today’s IT administrator must contend with not only corporate-owned devices accessing the network, but also personal devices, VoIP phones, printers, and more. In this webinar, find out how Pulse Policy Secure enables network administrators to ensure that only authorized devices can access the network. But the need for visibility doesn't stop at the network edge! Identity-enabled secure access also provides insight into what your network traffic represents - so you can fully understand who's accessing what resources, from what devices, in what context. I am not a number! And neither are the various users and user communities active on your network. Traditional firewalls make access control decisions by the numbers - source IP address, destination IP address, and port numbers. Pulse Policy Secure adds context to those decisions, enabling your firewall to incorporate user identity and role, device platform and health, location, behavior, and beyond into everyday access control. Context-based network segmentation enables a wide variety of enterprise security scenarios, from secure mobility to guest access to compliance. Come learn how Policy Secure enables intelligent deperimeterization!